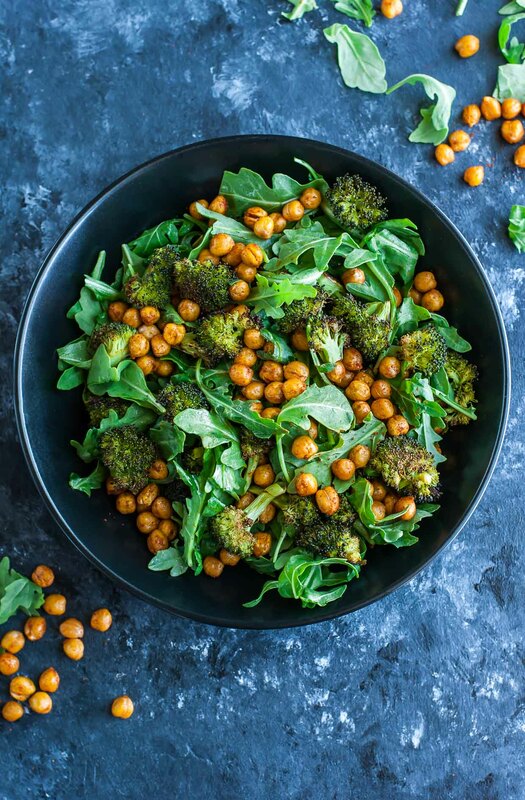 This tasty Roasted Broccoli Chickpea Arugula Salad is tossed with a healthy homemade lemon dressing and ready to rock your salad game! The sheer number of requests I get for new salad recipes makes me happy dance all over the dang place. 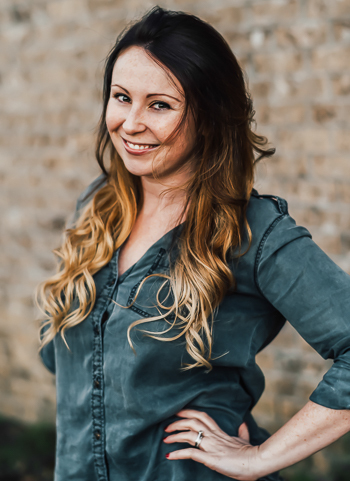 You guys… Keep asking! Not only will I keep delivering, but my pants will also fit better – woot! If that’s not a win win I don’t know what is. As long as you’ll tolerate my antics, I’ll channel my inner Oprah and make sure y’all are swimming in salad recipes. You get a salad and YOU get a salad! I promise I’ll still pencil in some comfort food for ya too because, duh, cheese. Today we’re swapping cheese for chickpeas and my dairy-obsessed self didn’t miss it one bit. Seriously! 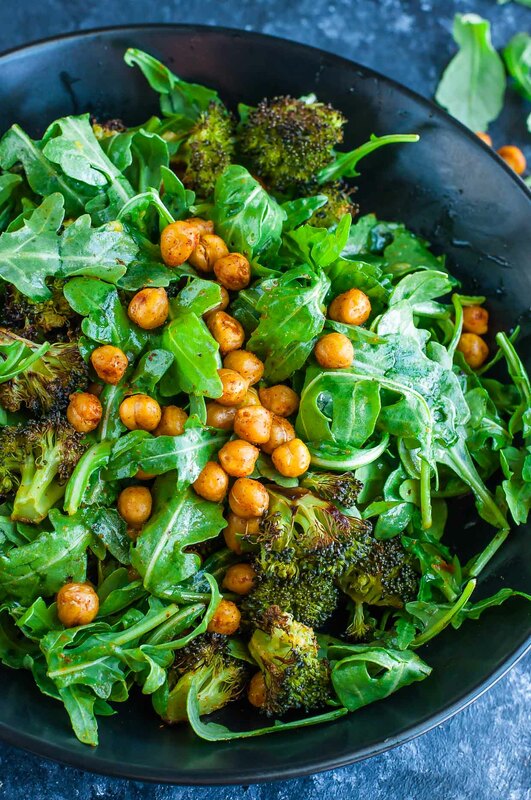 I whipped up this gorgeous green salad as a post-workout lunch and it totally hit the spot! After an hour jumping around like a coffee-drunk monkey at Orangetheory, I’m straight up ravenous. I try to refuel with clean, healthy food packed with protein and fiber, otherwise I’m hungry again in 30 minutes… then again 30 minutes after that… It’s a vicious nonstop hunger cycle I’m working crazy hard to break. 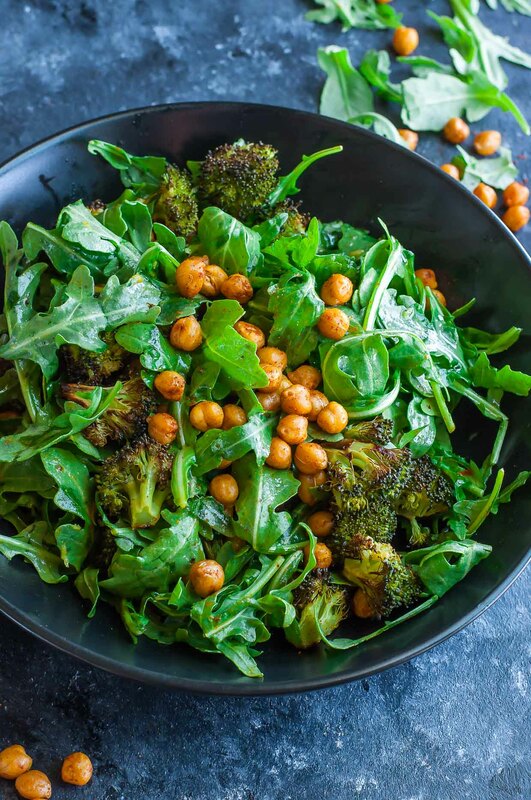 This is totally lunch/dinner salad territory, as the combination of crispy chickpeas and broccoli will give you a pretty hefty serving of filling fiber and protein. I should probably confess that while this salad is sized for 2 normal servings and 4 small side dish sized servings, I ate the entire thing in a sitting. What? I’m the hungriest of hippos! I can’t wait for you to try this healthy salad! 1 TBSP pure maple syrup or honey works too! Pat the chickpeas dry with a clean dishtowel. The drier the chickpeas are, the crispier they'll get. 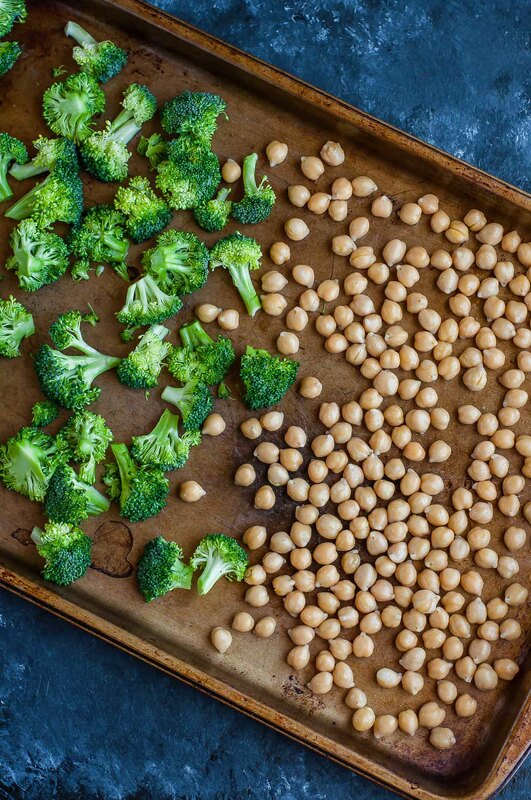 Place chickpeas on one half of your baking sheet with the broccoli on the other. 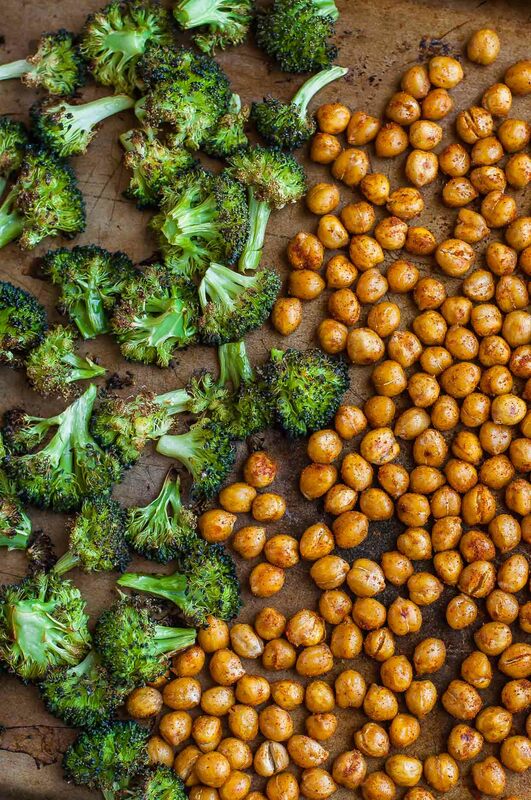 For extra crisp factor, make sure the chickpeas aren't on top of each other and the broccoli is slightly spaced, though don't stress it too much! Drizzle in olive oil and sprinkle with sea salt, to taste. I use my hands to mix up the veg with the olive oil for even coating. Roast on the center rack for 20-25 minutes until crispy on the outside and soft in the middle. While still hot from the oven, add the chickpeas to a bowl with your spices then mix with a spatula or spoon. Hand mixing works too but if you stick your hands in this shawarmatastic seasoning your fingers will most definitely turn yellow from the turmeric. I'm a rebel and end up with yellow fingers every. single. time. Oops! 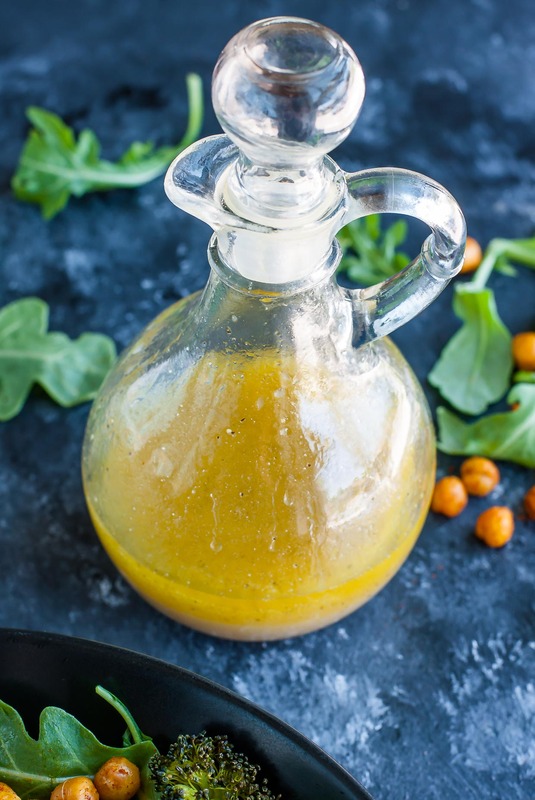 While the chickpeas and broccoli roast, combine your dressing ingredients in a mason jar. Pop on the lid, shake, and set aside. Once your veg are ready, give the mason jar another shake, toss arugula in the dressing to mix (as much or as little as you'd like!) and top with your broccoli and chickpeas. Dig in right away! Recipe yields 2 meal-sized salads or 4 sides. I didn't find this dish spicy at all, but the cayenne pepper absolutely controls the heat of these so use a little less (or skip) for super mild chickpeas and use extra for a fiery treat! 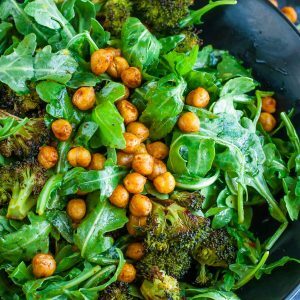 If you get a chance to try this scrumptious Roasted Broccoli Chickpea Arugula Salad, let me know! Leave some love in the comment form below or tag your photos with @peasandcrayons on Instagram so I can happy dance over your creation! I know I say this a lot buuuuut: SO FLIPPING GOOD! The roasted veggies were bursting with flavor and made the salad feel like a fancy orchestrated restaurant dish versus the easy toss-and-serve sort of ordeal it actually was. I’m all about low effort and high flavor when it comes to my salads. 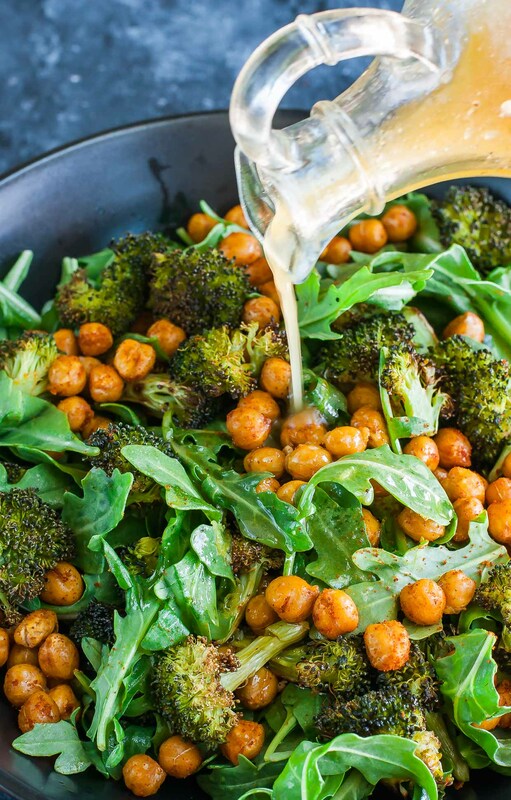 Once the dressing and chickpeas start to mingle, it steals a little bit of the chickpea seasoning to flavor itself and the result is pretty much face-rocking! serious about salads? try these next! So delish! I made this 4 times already! Ahhhhh yay! Thank you Laurie Kay! I made this tonight. It was delicious! I loved the mix of the flavors. I’ll definitely be making again. WOOOT! Cue happy dance! Thank you Carolyn! Omg this was so yummy that I also ate the whole serve!! Oops! I think I put a little more cayenne but still was fine! LOL I do the same quite often! So glad you enjoyed it, Ren! I replaced the chickpeas with roasted potatoes because I’m out of chickpeas and I had broccoli ready from the garden. Amazing! Thank you for such a delicious meal. I’m excited to try it with chickpeas next time.